The southern region of Spain is a popular holiday destination for good reason, but finding fantastic accommodation will make your stay extra special. So, without further ado, let’s take a look at 13 of our best holiday villas in Costa del Sol. Close to old Mijas town, this villa luxuriously blends rustic charm with modern convenience. Its stunning grounds boast a one bedroom lodge, terraces and private pool. Superbly furnished with a private terrace and pool, this villa is well designed and spacious. It’s also within easy reach of the vibrant town of Fuengirola. This fantastic 3-storey villa offers a heated pool, roof terrace and separate living quarters on the lower floor. It’s in a peaceful and prestigious residential location that’s just a 10 minute drive from the beach. A charming villa that offers extensive grounds, privacy and gorgeous views of the sea and mountains. It’s close to local amenities, and not far from the beaches at Fuengirola and Mijas Pueblo. A fabulous property in the form of a five bedroom villa and two bedroom bungalow. A tennis/basketball court, pool and volleyball court are on-site, but local culture and attractions are also within easy reach. This gorgeous luxury villa boasts an infinity pool and amazing views. It lies peacefully between the Mijas mountains, but is just a five minute drive from the historic whitewashed village of Mijas. A stunning, secluded villa with beautiful grounds, a heated pool and terrace. It’s located within a prime residential area and only a few minutes away from bars, restaurants and local amenities. This lovely villa is just a 10 minute drive from the beaches of Fuengirola and Mijas Pueblo, and top class golf courses are also nearby. A pool, games room and bar are among its main features. A peaceful and luxurious villa offering beautiful furnishings, an infinity pool, terraces and gardens. It also boasts golf course views, and is within reach of Fuengirola, Mijas and Marbella. This gorgeous villa is next to a beautiful beach, and close to El Chaparral Golf Course. It also boasts sea views, ensuite bathrooms, a pool, Jacuzzi, terraces and gardens. Modern living quarters are spread across three floors in this charming villa, which has a terrace, private garden and communal pool. The beach and local amenities are only a short walk away. A stunning property that offers unrivalled views, a separate three-bedroom flat, a pool, tropical gardens, terraces and children’s play area. 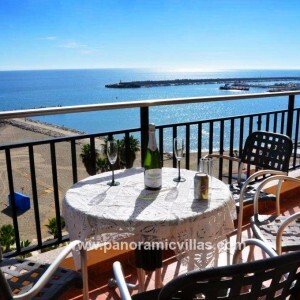 It’s a five minute walk to the Fuengirola coast, and a 30 minute drive from Marbella. This beautiful villa combines traditional Spanish features with modern furnishings, and its expansive grounds boast gardens, terraces and a pool. It’s a countryside location, but the amenities of Moraleda de Zafayona are close by. View more of our Holiday Villas on the Costa del Sol and book your perfect holiday today. This entry was posted in Your Travel Advice on August 5, 2016 by Jess Whittle.